A great workhorse of a laptop if you can afford it would be ideal for someone looking do to a bit more than just browsing the web and checking email. This is a multitasker's dream especially with Dells Mobile Connect solution built into the system Well done Dell. this is a highly capable 2-in-1, yet unless you're absolutely convinced you'll be rotating the display on a regular basis, we came away feeling as though the traditional XPS 15 laptop, with a hexa-core processor, would be the best way of enjoying Dell's terrific 4K IPS touchscreen. 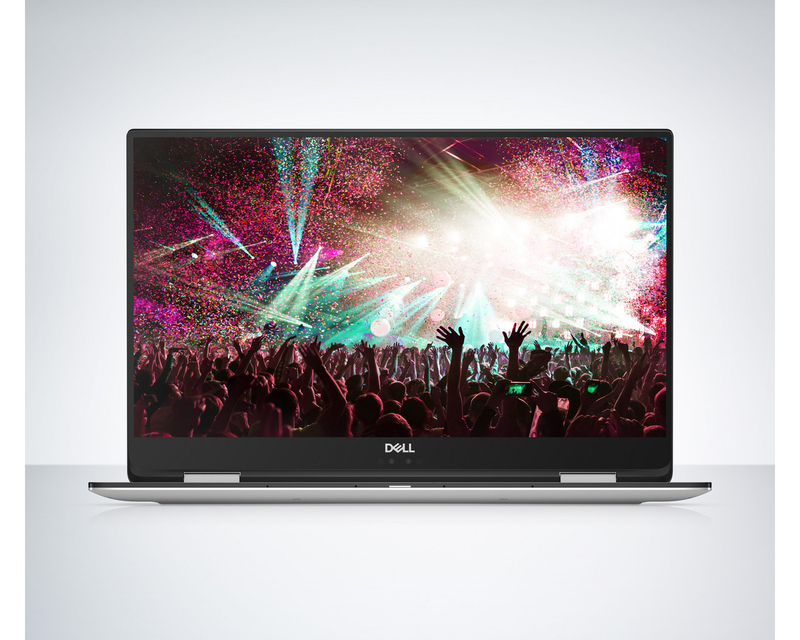 The Dell XPS 15 2-in-1 is just about the best hybrid laptop creative professionals can get today. It has a high-quality screen (that can use a pressure-sensitive stylus if you want), it's very powerful (good enough for gaming), plus it looks good too. A powerful, portable and versatile hybrid, but with the price tag to match. The XPS 15 2-in-1 is very attractive machine indeed, with an anodized aluminium lid and carbon-fibre keyboard that are becoming familiar sights on Dell’s premium machines. 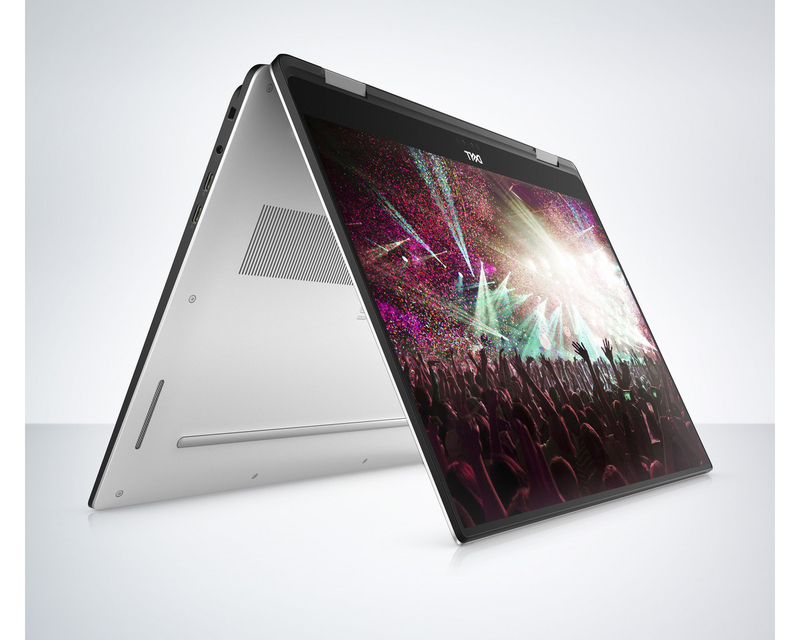 There are chunky aluminium hinges, and build quality is consistently excellent: there’s no give in any of the Dell’s panels, the screen is sturdy, and the hinges are rock-solid. Although the XPS 15 2-in-1 is a very expensive laptop with a boring design, it does most everything it’s supposed to well, which might be enough to make you forget about its cost and sleepy styling. Dell hasn’t tweaked the outer design that much, but the improvements it has made to the XPS 15 2-in-1’s keyboard and screen are subtle but important upgrades. Add to this the new G Series CPU and graphics options and the laptop easily earns its place as one of 2018’s best Ultrabooks. 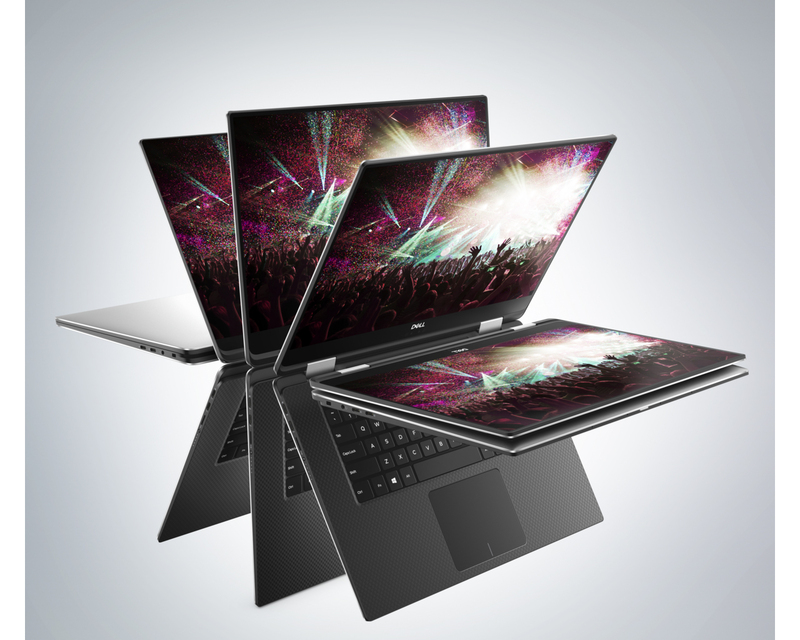 The Dell XPS 15 2-in-1 sets a new bar for hybrid laptops, packing impressive gaming power into an ultra-thin shell. If it weren’t for the loud fans and software that still needs work, this notebook would have been a home run hit. As we said, we consider 15.6-inch convertibles to be niche products, laptops destined for only infrequent use in Tablet or Stand mode that pack the weight of three or four genuine tablets. Within this group, however, the XPS 15 2-in-1 stands out for its doubly potent processor, forward-thinking ports, and classy design. It's a worthy competitor not only to other large hybrids but to the original XPS 15, which has long been one of our favorites. Only its bulk keeps it from challenging the Editors' Choice Yoga 920. For all its premium, fantastic-looking build quality, high performance, and optimized form factor, unsurprisingly the XPS 15 2-In-1 is not cheap. Dell will have a $1,299 base level SKU starting on 4/23, but for now the entry level price is $1,499. Our machine as configured with a 1TB SSD, 16GB of RAM, and the 4K panel runs for a hefty $2,549. That said, as far as 15-inch convertible 2-in-1 laptops go, Dell did a fantastic job with the XPS 15 2-In-1, making it easy to recommend. Geïntegreerde grafische kaart in de tragere Kaby-Lake-G-SoC's. Biedt 20 CU's = 1280 shaders aan 931 - 1011 MHz, 4 GB HBM2 grafisch geheugen (op dezelfde chip als de GPU en CPU). Het TDP is afgestemd op 65 Watt. 86.18%: Dit is een score die boven gemiddeld is. Wel moet je er bij bedenken dat ongeveer 10-15% van alle notebooks een betere score krijgt.